Out of all the most useful power tools available out there in the market today, probably the one that is in everybody’s toolkit is the cordless drill. In the past, cordless power tools, in general, were not a favorite choice for anybody, since they didn’t have a lot of power, and always seemed to die right in the middle of a job. Drills were the most prone to this issue, presumably since the high level of torque required to get the job done put a lot of strain on the energy stores. Thankfully, all that has changed in recent years, thanks to several breakthroughs in battery technology. In the push for a more green way of living, batteries have come incredibly far in terms of lifespan and power output, and these innovations had a huge impact on power tools. Now, you can go out and buy a drill for any type of job, from simple home improvements to the most difficult builds that need a huge amounts power sustained for a very long time. Cordless drills an do anything, and above all else, the level of convenience that they bring to the table is an invaluable commodity. However, now the problem becomes finding the right drill to suit your needs and accomplish the task at hand in the most effective way possible. There are so many available, all boasting superior performance, that it gets hard to separate the true gems from the imposters. Enter this buying guide, where we’ll take a look at some of the best options on the market today, all brought to you by the most trusted brands in the game. Along with the three that were highlighted up above, any of these drills would make the perfect addition to your toolkit. The only that we need to be aware of is how much power you require for your particular situation. On this list, like always, I’ve covered a wide spectrum of possibilities, meant to show you exactly what’s out there in terms of power, versatility, and functionality. So with that in mind, let’s dive right in and see what we can figure out to get you started in all those projects you have piling up. The cream of the crop. In an effort to start things off with a bang, I’m taking a look at a selection that isn’t so much just a drill, but an entire kit that can help take care of most, if not all, of your needs. Dewalt has been around for a long time, and they know what it takes to get the job done, and all of their products, but specifically this set, is designed to work as hard as you do for as long as it takes. When you buy this kit, you get the drill, two battery packs, and a charger, and it’s all packed up neatly in a durable contractor bag. One of the biggest challenges with a powered drill is the difficulty it usually has getting at those hard to reach areas. DeWalt, with all of their experience, kept this in mind and gave this drill a compact design. This way, you can get anywhere you need to without having to stop and regroup. deWalt giving you an extra battery is a great idea. This way, you can get to work, and when the battery dies, just switch it out with the spare, and you're good to get going again. Never again will you be left stranded with no power for your drill, letting you save a bunch of time and get the job done. 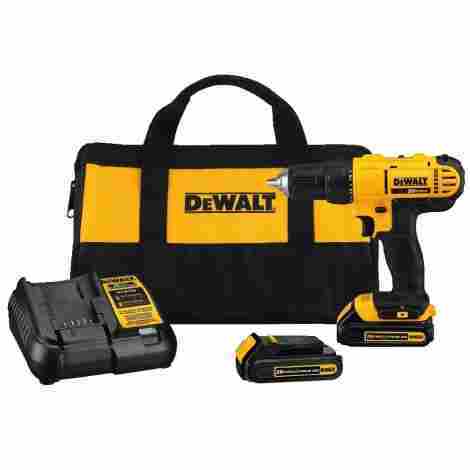 Ignoring the price for a minute, just looking at the fact that you’re getting everything you need to get to work, all in one package, and bearing the DeWalt name, it’s pretty obvious that quality and value are hallmarks that the company takes very seriously. Now, take into account the price, which is lower than you'd think with their reputation, and this drill becomes a must-have for contractors and homeowners alike. One of the best parts of this buying guide is that many of the brands that show up are very well-known and trusted by consumers everywhere. This helps make my joba bit easier, because their reputations help the product sell themselves. Makita, coming in at the number two spot here, is one of the more popular brands out there. Another long time player, they have a wealth of expertise and know how to build a drill that you can rely on every single time. This is a piece of equipment will last virtually forever, and one that you can be proud to own. There are a handful of brands that are always going to be linked to quality and reliability, and Makita happens to be one of the best. This drill just looks well-built in every conceivable way, from the solid, durable shell, right down to the high-speed, very powerful motor. That alone is probably the biggest feature that a power tool can have. This drill is constructed with a metal shell which makes it sturdier than most other drills on the market. Most companies would stop there, content that the drill would be strong enough. 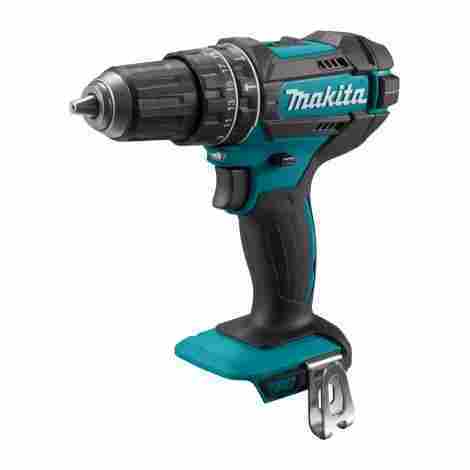 Makita went a step further, giving it increased resistance to dust and water, so any abuse that your jobsite contains, this drill can take it with ease, and not skip a beat. 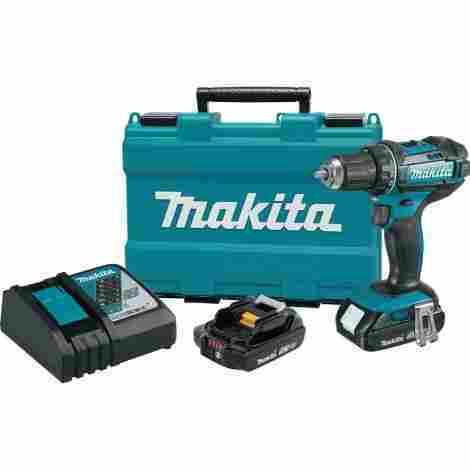 This Makita offering is a bit more expensive than some others listed here, but it is another kit, which goes a long way to adding a lot of value for your hard-earned money. Plus, buying Makita means you’re buying a quality drill that was built with high standards and a lot of attention to detail, which is something that you can never have too much of. This may not be the cheapest, but it is close, and it’s got everything you need to get started, which in terms of value is huge. 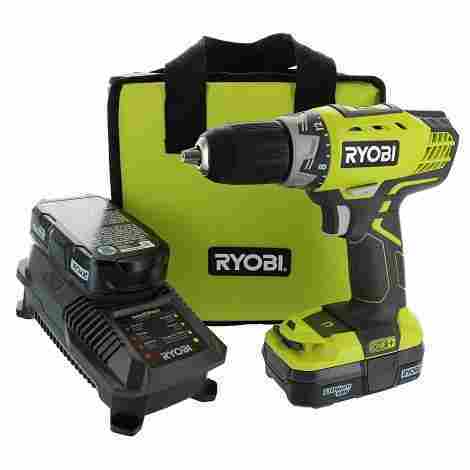 All-in-one drill kits seem to be the way to go when it comes to home renovation, and this Ryobi drill takes things to a new level. It’s part of their One+ line, which uses one interchangeable battery across all of the Products, giving new meanings to compatibility and convenience. Ryobi tends to be a bit less well-known brand, but with their very high levels of innovation is helping to change that fact very quickly. Having an line of power tools that work off the same battery and charger can make your job remarkably easier. I talk a lot about the compatibility of the One+ line of tools, and I think I should explain why it’s such a good idea. All of the tools in the line, and many of Ryobi’s older models too, will work with the same battery, and that’s where the ingenuity comes in. You have a bunch of tools in your kit, a few batteries, and one charger. That’s it. Less stuff to pack around, and less to worry about at the job site. An LED indicator built into the charger may seem like an unimportant feature, but this grill is part of a line that uses the same type of battery, making things so much more convenient. As such, it becomes so much more critical that you always know how much power you have at all times. Another drill kit with a very reasonable price point, Ryobi packs a ton of design innovation in to this drill, and it’s worth every penny. Making it cross-compatible with a whole range of other power tools gives it incredible versatility and helps take the value through the roof. The company is quickly becoming synonymous with quality, and any of their products should be in your tool kit. Of all the big names in power tools, Milwaukee has a reputation for being one of the more high-end brands that is the go-to when it comes to taking care of the toughest jobs. Here, we have a very big, very powerful, and very expensive drill that has an enormous amount of sustained torque for absolutely any application. This drill packs a lot of power, and knows how to use it efficiently, so it can give an even performance for an extended period of time. Having all the power in the world will amount to nothing if you don’t have a battery that can hold up just as well. 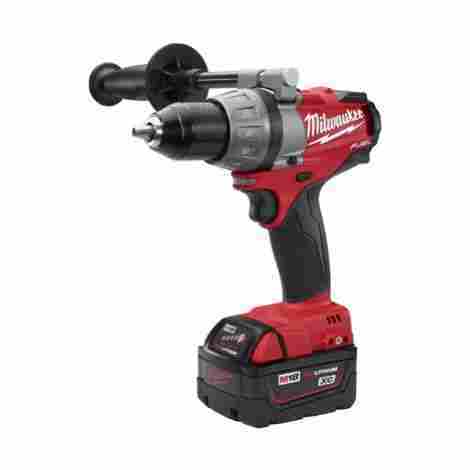 To take care of that, milwaukee packed in a lot of top line technology to their battery, resulting in much more efficiency and a much longer lifespan than you’re likely to find in many other drills. This drill packs a lot of power, there’s no question about that. Not only does not have a maximum torque of 725 pounds, but it also provides maximum sustained torque for the entire time you’re using it. This means that even the toughest jobs are going to get done as effectively and efficiently as possible. The brushless motor that Milwaukee uses is as powerful as you’ll find in a drill. As I’ve mentioned above, the Milwaukee 2703-22 XC M18 Drill is very expensive, coming in near the top of this list where that is concerned. With all that money, however, comes so much power and durability that it’s impossible to overlook the value, despite the price. This drill is clearly not messing around, and if you need an extreme power tool for your particular job, this is it right here. Good old Black and Decker. This is probably the first power tool company I came across, and since then it has withstood the test of time and remained one of the most reliable companies out there. 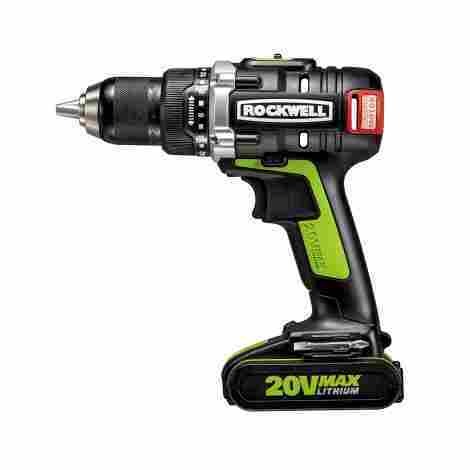 This cordless drill is one of the flagships of their product line, and is probably one of the most powerful everyday drills you can buy, making it he perfect choice for any type of home renovation. With this kind of quality and cutting edge design, expect to see their name show up on best of lists for many years to come. You’ll want to use it everyday. For a variety of reasons, Black and Decker put together an almost perfect drill for household use. The inclusion of a multitude of drill bits, combined with the lightweight, ergonomic design could leave you wanting to work on your home on a daily basis. The drill is perfect for that as well, since it has a very powerful motor built to take a beating all day, every day. This drill has everything you need to start using it as soon as you get, once you charge the battery. It has a wealth of drill bits and driver tips, so you should have no troubles finding the right one to use while working around the house. Most drills come with a selection of bits already, but this one just happens to offer more. This drill was meant primarily for everyday, around the home use, and the price tag reflects that. It’s powerful enough to be a solid piece for the jobsite as well, and it’s low cost makes a viable option.Also, it covers a wide range of tasks, and has a decent battery life. Ensuring that it will continue to provide excellent value. Can be used in a variety of materials, such as wood, metal, plaster, etc. 6. Bosch 12-Volt Max 3/8"
Much like Milwaukee, Bosch is a brand that comes with a pretty steep price tag, but for slightly different reasons. Bosch is about as high-end as they come in the world of power tools, but it’s less because of their heavy duty, high powered performance than it is for their uniquely modern streamlined look. Their products are all about sleek design and solid construction, providing you with a workhorse of a drill that you can rely on every single time you pick it up. Make no mistake though, underneath that stylish exterior lies an absolute beast of a motor, eager to tackle the hardest jobs with ease. This is probably one of the lightest drills you’re likely to find on the market. Weighing in at just shy of two pounds, this is almost detrimental to the drill, because nothing that light and easy to carry can be of any real quality, right? Not in this case. Bosch has made a nice and comfortable drill to suit any user, and won’t cause any discomfort during prolonged use. Bosch ios a company known for producing heavy duty equipment for even the most discerning professionals, and this one is no exception. They take pride in building a top quality drill that is perfect for the workplace, and then turning around and making it accessible to the average handyman. All their products are known as work horses, and for very good reason. If you have any interest in Bosc products at all, you had better get used to seeing a lot of numbers on the price tag. This drill was designed as a high-end option from the very start, so Bosch put a lot of effort and care in to making it. It’s a big name drill meant for big time jobs. Look! It’s Bosch again. That’s what happens when you, as a company, make a habit of building your reputation around quality workmanship. This time, it comes in the form of a kit. A well-built, high quality, kit. Bosch is a German company that brings over a set of standards rarely seen in any power tool these days, but is one that that adhere to without unwavering. This one also happens to be a bit more cost effective than their previous offering a bit higher up the list. If you’re lucky enough to have ever used one, you know that it leaves a lasting impression that you can’t easily shake, which is the mark of a truly great tool. Bosch put together a complete, all-in-one kit for home or jobsite use, and they made sure that you weren’t left wanting for anything. 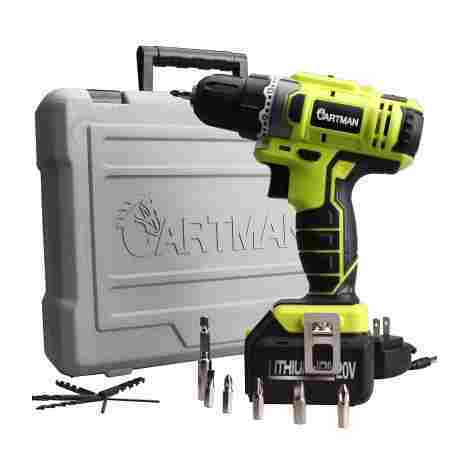 It comes with the requisite extra battery and charger, and is housed in a typical carrying case, but the manufacturers also decided to throw in a set of drill bits to get you started as soon as you take the drill out of the box for the first time. 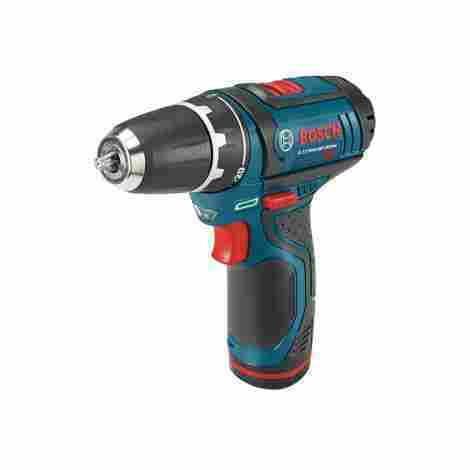 When Bosch set out to produce a less expensive drill for everyday users, they also opted to give it a very low profile, making it as compact and discreet as they come. This leaves you with a lightweight and deceptively powerful little tool that’s ready to fulfill all of your home improvement needs. 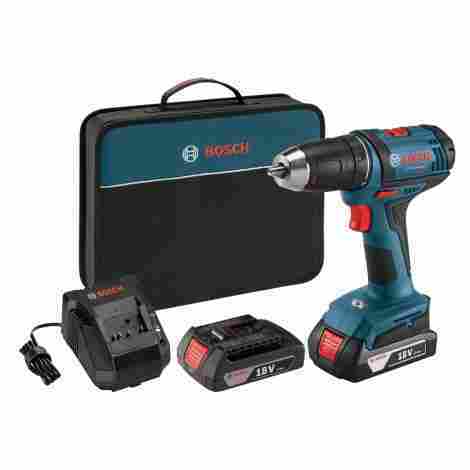 Bosch is being it's typically expensive self with this drill, but this time they built it as a smaller, more compact version and [put it together as a kit, instantly skyrocketing the value of this to lofty heights. A great addition for any first time homeowner just putting together their first tool kit. I wanted to include a lesser known brand for the sake of variety, but what i did instead was solidify this buying guide as a best of the best list. I didn’t know it at the time, but Rockwell has spent its time on the market building up a solid reputation as a working man’s tool company. Everything they put out meets or exceeds every standard developed by hard working professionals everywhere. The fact that they rate so highly is a definite trademark of quality. Rockwell really want you to remember them for their service as much as you will for their products, so all of their cordless tools come with a batteries for life guarantee. This means that if your current battery ever becomes compromised or breaks for any reason, just call them up and they'll send out a replacement so you won’t ever have to go without. You will notice that a few of the drills on this list use a brushless motor, though it usually reserved for the higher end selections. This drill certainly acts high end, but isn’t priced that way. Having a brushless motor cuts down on friction, letting the drill optimize its power out for a longer sustained period of use without any noticeable reduction. I’ll be honest here, this drill costs more than I expected it to, but then again, I had never heard of the company before writing this guide. I thought they were just some run-of-the-mill upstart, putting out bargain-priced tools for uninformed consumers. Boy was I ever wrong about that. The few extra dollars is more than justified by all of the features and attention to detail that they manages to cram into this compact drill. While searching for another lower priced option to put on this list, I stumbled across this drill by Cartman. This “bargain” tool is a clear example of a hidden gem. Yet another brand that I hadn’t heard much about, it’s managed to make several best of lists, for many more reasons than its low price, though that does help it get noticed. Once the price point draws you in, all the useful features are going to keep you loyal to this under the radar drill. This drill is such a great value that I want to talk about it some more. It would easily fall under the bargain category in terms of price, but it sure isn’t built that way. Somehow, the designers at Cartman managed to put together a solid, mid-level cordless drill for a rock bottom price. This drill definitely over delivers on its promise. This drill has a twenty-one position clutch that provides you with more than enough precision to drill through almost any type of material that you can think of. BE it wood, metal, plastic, or what have you, this drill is well equipped to get the task done anywhere you need it to. I wanted a high quality, low priced selection to put here, and I definitely got it. That doesn't for a second mean that it’s cheap. On the contrary. This drill was built to hold up to pretty much any job you had in mind for it, putting it right near the top of the list for any level of handyman. I saved the final spot on this list for another well-known, trusted brand whose name evokes thoughts of well-made craftsmanship, and it just so happens to also be a drill that comes at one of the lowest price points in the entire guide. That’s right, Makita strikes again, and this time, they’re offering a perfect entry level drill that any professional would be happy to own as well. They put all of their know how and expertise in to a low priced product so that any consumer can have good solid tools at their disposal. You wouldn’t expect a drill that costs so little to have so much maximum torque, but then again, Makita likes to do things unconventionally when it comes to their tools. Over 480 pounds of maximum torque is more than enough to quickly handle any conventional job, and several higher intensity ones as well. Everyone knows who Makita is, and that’s mainly because they know how to make a very good power tool. They are one of those companies where you get what you pay for, and in this case it’s quality and peace of mind in knowing that everytime time you use it, it’s going to do its job just as well as it ever has. The name and build indicate that this is one of the better drills out there, yet the price tells a very different story. How Makita managed to give people so much for such a low price is a secret that we may never know. That’s okay though, we can just keep happily using their affordable tools. While browsing the list above, I sincerely hope that you were able to find the perfect drill for your needs. If not, at the very least, the goal for this guide was to be a valuable starting point with all of the information and resources that you would need in order to continue the research yourself and ultimately land on a piece of equipment that will quickly become the centerpiece of your tool collection. The cordless drill is very likely to be the most frequently used tool that you own, so it needs to be especially reliable and trustworthy. There are so many to choose from, each with their own unique strengths, so finding what you need can be a daunting task, but also a very informative one. Very single drill that I’ve decided to include was put on the list because they are great all-around tools. I didn’t choose them for a particular feature or perk, but instead for the sum total of everything they have to offer, resulting in top-of-the-line performance that won’t bow out halfway through an important job. Despite all that, the best place to start when it comes time to picking a drill, is to figure out how much power you’re going to need, and for how long. Once you’ve done that, it’s simply a matter of choosing a price point, and then you’re on your way. The right drill can mean the difference between a job done, and a job well done. You wouldn’t want to sacrifice quality at home or at work, so I put this guide together so you can be as informed as possible. More than price, performance, or any other criteria, when you’re talking about selecting the right cordless drill for the job, power is going to be your primary concern. Depending on the job you need to get done, a basic drill with an average amount of torque is usually going to be enough. For more heavy duty jobs, like those found on a construction suite, you’re more than likely going to need something with a considerable amount of oomph. That’s why it’s so important to first figure out what kind of job you’re doing, and determining the power required accordingly. The power output that a drill is capable of is measured in torque. Not only is knowing the maximum amount of torque important, but also how much torque that the drill is going to be able to sustain for an extended period of time. In the past, most homeowners were content to have a 12V drill, which has more than enough power to take care of almost any project around the house. Recently, however, the trend has been to go with a much more powerful 18V drill, which is getting in to the realm of drills that professional contractors use, in terms of torque. These Ones not only have power to spare, but they are able to deliver that power consistently for much longer than ever before. One of the major problems that occurred when cordless drills first began to gain traction in the market was performance. Not so much in the amount of power they had, but in how long they could put out that power before needing t o take a break to cool down and recharge the battery. A drill may start out delivering a lot of juice, but part way through the job, it would inevitably start to wind down, and by the end, it would barely be able to drive screws with any consistency. These days, that problem has been pretty much been taken care of. Maximum torque is higher than ever, and most modern drills can sustain that level without any noticeable lag for the entire life of the battery. This is largely due to the drills being made more efficient when it comes to managing and transferring power. In the past, there were several factors that would compromise output, the main one being friction. Motors today are designed to reduce that friction and eliminate overheating so that the vast majority of power produced is not wasted before it can reach do the job. These factors do still exist, and no drill, or any machine for that matter, is going to be 100% efficient, but most of the drills on the market today are at least able to come pretty darn close. Battery life is almost as important as power output were cordless drills are concerned, because really, how good is a high amount of torque if you don’t have a battery that can power your drill enough to produce it? Battery life, and the convenience affected by it, has been a big issue in the world of power tools ever since they first went cordless. In that time, the technology has definitely come a long way, but there are still some roadblocks in place that force consumers and manufacturers to get resourceful in order to complete the job. 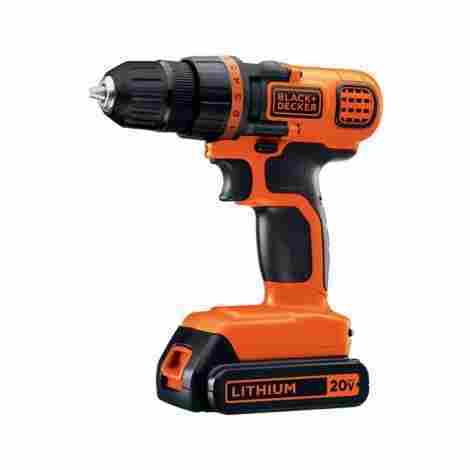 Most batteries found in power tools today are Lithium Ion. This is because they have a high energy density combined with a low amount of self-discharge. All batteries will lose energy over time, these ones just tend to do it slower and to a lesser degree than others. There are several different types of Lithium Ion batteries, and each one differs in terms of performance and cost. The types most common in cordless power tools is lithium iron phosphate, lithium ion manganese oxide, and lithium nickel manganese cobalt oxide, which all have a lower power output, but has a longer life span and a reduced likelihood of combustion or degrading compared to the more common lithium cobalt oxide. In a move to improve efficiency and provide the world with a greener option, a lot of manufacturers have begun to develop their power tools lines that incorporate the same battery through a multitude of different tools and equipment. While this does reduce the requirement of lugging around a bunch of equipment, it does mean that the batteries need to be more efficient than ever, and be able to hold a charge better. Also, this increases the strain being placed on the batteries, as they are more susceptible to being used and moved around more frequently, increasing the risk of it being damaged. As such, the battery housing is also being made much stronger now, and is able to stand up to any number of impacts, wear, and tear. Regardless of how battery technology has come, their compact size still means that there are always going to be limits as to how long they can last before needing to be charged. To combat this a bit, manufacturers are designing the inner workings of their drill to be more efficient, thereby only using the optimum amount of power at any given time. Another trick that many companies now employ is bundling their tools with multiple batteries. While this doesn’t do much to increase power output, it does allow the user to switch out to a fresh battery, leading to much less downtime before the job can be completed. Battery life and power is going to be a concern for a long time to come, but the level of innovation that manufacturers are enjoying is at least allowing cordless power tools to compete with the corded versions as far as power and performance is concerned, evening the playing field a bit and giving the consumer a whole new world of choice. There’s that word again. It doesn’t matter how many criteria you want to use in determining the best of any product, in the end it’s all going to come down to price. For every feature or extra ounce of power that you are looking for, the cost to make the item is going to go up, and so is yours. Everything that goes into making the best cordless drills costs money, and the makers are not shy to share that expense with you. That’s not to say that well-made, affordable drills don’t exist, because there are tons of those out there. What it does mean it that there is a balancing act going on, with everybody needing to reconcile features and performance with how much they are willing to comfortably pay. When it comes to the most expensive drills, the motor is usually what drives the price up there. For power tools, more power does equal more money. It’s not just about power though. How efficiently your drill is able to transfer that power is a factor that helps set the price of the higher end options. Many of the professional drills use brushless motors, which are designed to greatly reduce friction, which in turn virtually eliminates the risk of overheating. This achieves two things. For one, it means that more of the power produced is going to be available for the owner to use at any given time. Finally, not letting the motor overheat is going to prolong its lifespan, allowing it to perform at its highest level for a much longer time. The next big thing driving the price of a drill is what it can do, and what it comes with. Most drills now, especially those meant for the job site, are not just drills anymore. They also act as impact drivers, giving you one less thing to have to carry around. Many of them also now come equipped with their own LED lights, so you can work conveniently in more places. Aside from what’s integrated into the drill, a lot of them are coming as complete kits, with extra batteries, a charger, and a case to pack it all around in. Some will even include a set of drill bits, making these kits a one-stop place to get everything you need without having to immediately run out and buy more stuff. To sum things up as best I can, you as the consumer will be able to find cordless drills in a range of prices, and each one should be able to competently handle most jobs around the house, and the rest is up to you. Once you figure out the power you need, take a look at the features, and you should be able to accurately choose the perfect drill for your needs, no matter what it is you need to do. Brushless motor: A type of motor that has been in use since the 1960’s, but has only recently been incorporated into power tools. These motors remove the carbon brushes and commutators that were previously used to produce and transfer power. Instead, the transfer is directed by a small circuit board. This helps make the power tool “smarter”, because the motor is able to sense to amount of resistance and adjust its operation accordingly. Chuck: A chuck is a specific type of clamp found on power drills that is used to affix the drill bit securely. As opposed to lathes and other similar tools that use the chuck to hold the spinning workpiece, the chuck used by drills it holds the rotating tool or bit. Chucks are designed to work best with cylindrical tools, clamping on smoothly and preventing any wobble. Cordless: Literally without a cord. Traditional power tools get their power by being plugged into the wall and drawing energy from whatever source is generating the electricity. Cordless tools instead rely on batteries to supply their power. These tools can’t generally perform their job for as long as the corded versions since batteries can only hold so much charge before needing to be replaced, while the corded ones aren’t limited to a finite amount of power. Countersinking: The act of enlarging and beveling a previously drilled hole in order to enable a screw of bolt to become flush with the surface that is being secured. This is most used when working with hardwoods so that the screw can come in to contact with the wood as much as possible. Drill bits: Drill bits are cutting tools used to dig through the surface of a material in order to create hole used to secure the material to some other object. The type of drill bit used depends a lot on the hardness of the material. The harder the surface, the more friction is caused, so the bit needs to be able to handle it without breaking or wearing down. Drill bits will also come in a large number of sizes, ranging from ¼”, ⅜”, and ½”, which are the most common sizes. Driver: Most drills also function as drivers. The driver literally drives the screws into the wood or other surface. The keyless chuck on the drill is versatile enough to hold a wide variety of both drill bits and driver bits. An impact driver is a bit different in that it has no keyless chuck, instead incorporating a collet to accept hex-shaped driver bits. The sole function of an impact driver is to drive screws faster than any other tool on the market. Lithium battery: AA type rechargeable battery. They are the preferred battery for many different products due to their high energy output and low self-discharge. There are several different types of lithium ions, for the purposes of cordless power tools, the most common are lithium iron phosphate, lithium ion manganese oxide, and lithium nickel manganese cobalt oxide because of their longer lifespans and a higher level of safety and reduced chance of combustion due to overheating. RPM: Revolutions per minute. This is the unit used to measure the frequency of rotation, or how many times an object will complete a full rotation in a set amount of time. Torque: Measuring the force acting on an object which then makes the object rotate or move. Machine torque refers to the power output of an engine or motor. Electric motors, the kind found on cordless drills, generally produce their maximum amount of torque relatively close to zero RPMs. Variable speed: In motors, there is a drive that controls the speed at which the motor operates. These speeds can be adjusted without preset steps over a range. Originally, cordless power tools were nowhere close to catching the power and efficiency or corded models. Recently though, several innovations in technology have narrowed the gap considerably, and many cordless models can now hold their own quite nicely against corded version. However, because of the virtually limitless source of electricity, corded drills are still able to produce more power. Q: Do the batteries last long enough? That depends on how much you need to use the drill. The life of the battery will always be limited because of its small size, but there is a partial solution. Many drills now come with two or more batteries, so you can always have one charging or ready to go while the other is in use. This way, you can maximize your efficiency can keep working as long as you need to. Q: Are cordless drills more expensive? Like all power tools, or anything in general really, drills can easily get as expensive as you want them to be, depending on the amount of power you need, and how many and what type of features they are going to have. For general everyday use though, a simple 12V-18V cordless drill kit will take care of pretty much any job you give it, and shouldn’t cost that much at all. Q: Do power tools all use the same battery? Inherently, no. However, some companies produce an entire line of power tools that are designed to operate on the same battery. This allows the user to have whichever power tools they want, while only using a single charger and a handful of batteries. In the long run, this can cut down on cost as well as save space. Q: Since they’re cordless, can they get wet without damage? As a rule of thumb, it’s usually not a good idea to get any piece of electrical equipment wet, as it can be a hazard to both the tool and the user. Some manufacturers do take steps to safeguard their tools against the effects of water and dust, giving them a certain measure of resistance, but this by no means implies that it is a good idea to intentionally get them wet. Popularmechanics.com – What’s So Great About Brushless Motor Power Tools? Wonkeedonkeetools.co.uk – What is countersinking? Popularmechanics.com – Cordless Drill/Driver vs Impact Driver: Which Do You Need?